Is it a Good Time to Purchase Lake Tahoe Real Estate? In the 4th quarter of 2018 we continue to see inventory constraints and a constant increase in the buyer base (more people coming into market). The number of distressed sales (REO and Short Sales) has been on a downturn since 2012 and is at the lowest level since the last recession. Meanwhile, the average and median home price continues to rise without hesitation. Enjoy my market report which will elaborate on my findings and please feel free to contact me with any questions as I am happy to discuss market conditions and your real estate goals. 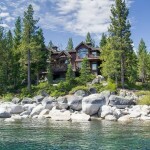 Lake Tahoe, CA Real Estate Sales Volume Exceeds $1B for the Third Time Ever! 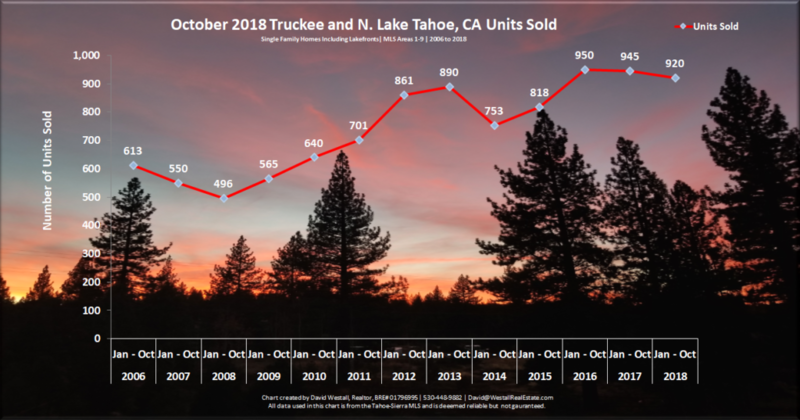 In North Lake Tahoe, CA and Truckee, we saw 119 single family home sales in October which pushed us through the $1B sales volume barrier for the 3rd time ever! 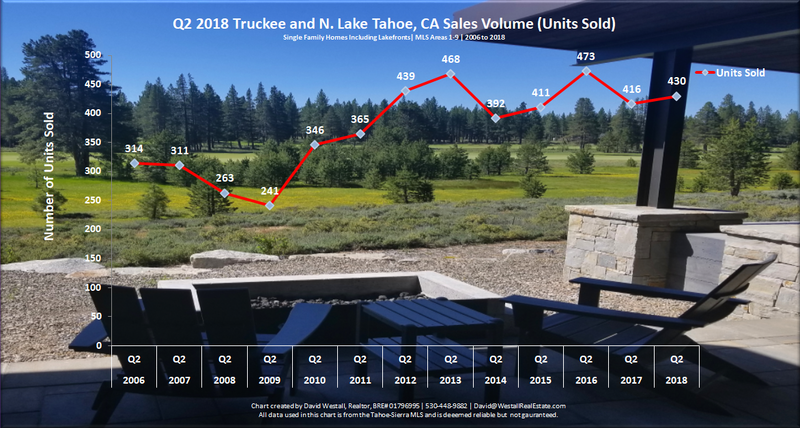 This is the earliest we have ever exceeded $1B in single-family home sales and reflects on the tenacity of the Tahoe luxury market segment and the overall fortitude of the 2018 Tahoe real estate market. 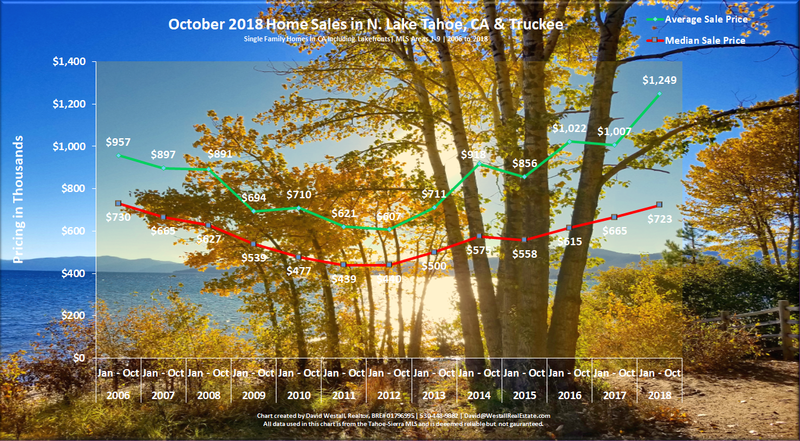 In the last month, 31% of all single-family home sales were priced over $1M with an average sale price of $2.59M showing us that the luxury home market is thriving in Lake Tahoe and Truckee. 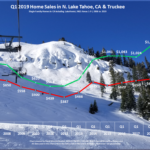 The median home price is currently at $723,000 which has consistently been up 8% in 2018 and is reflective of the overall health of the Tahoe/Truckee markets. The average home price is currently at $1,249,000 which is up 19% over last year and reflects that 29% of all sales in 2018 have been priced over $1M. 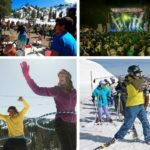 We have seen tremendous strength in the Lahontan, Martis Camp, and Gray’s Crossing golf course communities as well as Tahoe Donner, lakefront properties, and Northstar ski resort market. In 2018 we have seen 26 luxury homes trade hands that were priced over $5M, 5 homes have sold priced over $10M and we’ve had 3 incredible lakefront sales priced over $20M! Oliver Luxury Real Estate represented 3 of the top 5 sales in 2018 including the record-breaking $40M Tahoe City lakefront sale on the fabled Sunnyside Lane. Luxury buyers are positive on the Lake Tahoe markets and are purchasing exceptional properties at a record-breaking pace. Currently, there are 103 single family homes in escrow with an average price of $1,526,643, a median price of $750,000 and 72% of these homes are scheduled to close in November which will help bolster the average and median home price for 2018 and add to the current record-breaking total sales volume. 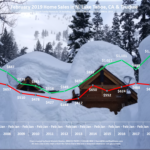 As ski season approaches, I expect to see Alpine Meadows, Squaw Valley, and Northstar home sales tick up as is typical due to the seasonality of ski resort home sales. 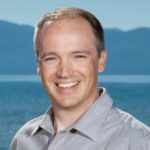 Do you have questions about Lake Tahoe Real Estate? Please call me at (530) 448-9882 if you would like to discuss Lake Tahoe real estate market conditions in more detail or to talk about how we can achieve your real estate goals together.